Methlab’s dark and minimalistic BNKR imprint returns for it’s 3rd outing with Utopia Music’s Hydro on the buttons accompanied by familiar partners in crime Villem, War and Mateba. Unsurprisingly given the artists involved, the release has a very ‘headz-y vibe, combining crisp modern production with the influence of golden era techstep D&B from the likes of Source Direct and Photek. Despite the grimey basslines and dark, ominous atmospheres there’s still an emphasis on funk and groove which can be lacking in some of the hyper-clean productions of 2016. In amongst the sharp snares and carefully tuned reverbs there’s still plenty of analogue distortion and warm, organic tones, melted together into compositions that feel both driven and hypnotic. 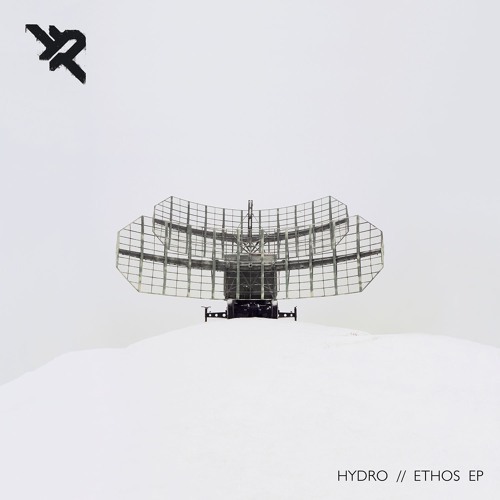 The drum programming on show here deserves a special mention too; after the more straightforward steppers beat of opening track Ethos Hydro and friends have gone in on hyperactive funk drum chopping that is an absolute joy to listen to; think somewhere between the chaos of a Paradox break and the sharpness of DLR’s best efforts and you’re in the ballpark. This back to basics approach, revelling in the origins of the genre and the most central elements of the D&B sound while still leveraging modern techniques is what makes these tracks such a joy to listen to. If you’re a fan of precision, dark edged techstep with depth beyond the dancefloor then BNKR continue to deliver right at the top of the game! Check out the clips below and look for the EP dropping at all good digital stores from Nov 29th. Dispatch are truly spoiling us right now. On top of their impending 100th release extravaganza and a ton of top notch releases over the last few months, Ant and the gang are treating us to a full length DLR album, barely more than a year on from his solo LP debut Seeing Sounds. Christmas comes early it seems! The themes on the album couldn’t feel more topical either with the recent Brexit debacle in the UK and Trump’s election victory in the US. Where Seeing Sounds felt at times abstract and introspective, Dreamland is pointed and political, from the leftwing anti-capitalist patter of interlude tracks like Living The Dream to Gusto’s angsty attacks on modern society on standout title track Dreamland. Lyrics like “course politicians got their hand in the till” paint a vivid picture of disbelief at the status quo, and that fire in the belly comes across in the razor sharp production of whiplash snares and growling bass. Production-wise this is very much evolution rather than revolution, honing DLR’s well tuned style of groove-laden tech-edged D&B. While this isn’t a tedious collection of “bangerz” by any stretch, pretty much all the tracks feel more than capable of causing some screwfaces in the dance, with Mako collab Anxiety Attack and the ominous, stalking basslines of album closer Time is Everything proving to be standout moments. Dreamland is unlikely to convert non-believers to the DLR sound, but fans of his previous material will definitely be all over it. It’s great to see an artist using their music as a platform to make a statement and encourage social change too, especially in an age where so much music has little to no message beyond the intent to rip up a club. 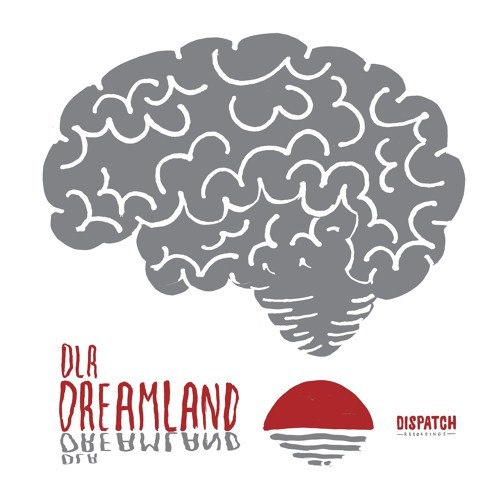 Props to DLR for balancing the dancefloor with a deeper message, and props to Dispatch for their continued belief in original independent music. Check out the clips below and hit up their store to grab this direct; Dreamland drops everywhere this Friday. 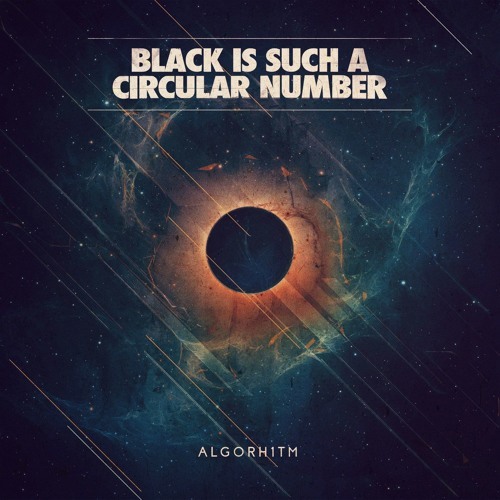 Competition: Win the new alg0rh1tm EP! Air Mass (the deeper sister imprint to Mark Kloud’s well established Ground Mass) are back with their 2nd release this month from Serbian producer Alg0rh1tm. Weaving complex sonic tapestries combining cinematic soundscapes, glitchy microfunk-style percussion and a hint of the autonomic aesthetic, the 170 sound doesn’t come much deeper or more hypnotic than this. The EP drops via the Ground Mass Bandcamp on Nov 29th and the label have kindly given us five digital download codes to give away! To be in with a chance of winning one all you have to do is like the DNB Dojo Facebook page and send an email to competitions@dnbdojo.co.uk with your name and the subject line “Air Mass Competition”. We’ll draw the winners on Tuesday Nov 29th – good luck! Regular readers should know we’re big fans of the vinyl format here at Dojo HQ; in an age where music has become increasingly disposable, a well produced and curated slab of wax stands as something slightly more tangible than the ever increasing slew of digital releases. Of course it sounds cracking too! Enter Swiss label Demand and their new vinyl EP series, Requisites. To quote their own press release, “every release symbolises one particular requisite that you’d evidently need to rock the so called black gold”, starting with the obvious; headphones. It’s clear that the Demand crew hold vinyl in as much esteem as we do, and everything about this release from the artwork to the tracks themselves suggest this is a labour of love. On to the music, and we’re treated to a diverse array of tracks from artists mostly familiar from the label’s back catalogue. Phil Tangent and Phase both turn in respectable deep but edgy rollers that are well worthy of your attention, but the limelight falls elsewhere for us. EastColors and Tiiu team up for a super deep and moody outing on Naked Skin, synths stalking through the track as Tiiu’s delicate vocals shimmer above a sparse beat. Perhaps the best of all though comes from the super team of Big Bud, RoyGreen, Protone and Dual, who join forces to deliver blissfully laid back vibes on Gospodi. Taking a few notes from the Calibre playbook without resorting to cheap imitation, this one just grows on us more and more with every listen. Hypnotic stuff. Check out the clips below and hit up the Demand Store to grab a copy right now. 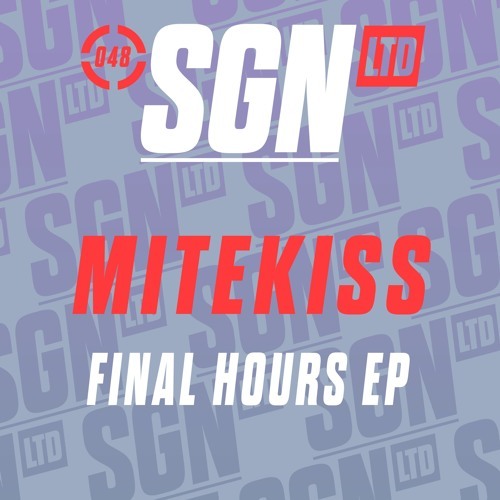 We’re feeling a bit of a warm glow about this one; longtime Dojo favourite Mitekiss, who we’ve been following since his early releases for the likes of Sub:mission Audio has landed an EP on SGN:Ltd! It’s always refreshing to see a young talent move up the ranks and with recent releases for MTA and Skank & Bass in the bag too, it’s safe to say Jonny has a promising D&B career ahead of him. Fans of his previous outings should find plenty to enjoy across the four tracks here; from the laid back musings of Final Hours, through the spine tingling atmospherics and shimmering bleeps of Chasing and out into darker roller No War Inna Dance, Mitekiss is on top form, showcasing his varied productions while keeping things rolling. Closing track Just Begun says it all really; we’re expecting big things next year from this man! Check out the clips below and hit up the Shogun Store (or your favourite digital retailer) to grab the EP right now. If you’ve been keeping your eyes and ears on the liquid D&B scene in the last few years, you could scarcely have missed LSB. Coming from humble beginnings as a promoter and DJ, Luke got his first breaks via solid releases on the likes of Bingo, Demand, Integral and Spearhead before catching the attention of Soul:R chief Marcus Intalex. Since then he’s been responsible for DRS smash The View and a host of other solid tracks for some of the biggest labels in the scene. So with his place in D&B cemented, clearly the time felt right for a full length outing, bringing us to this month’s release of the long tipped Content LP. From the unusually detailed and personal (and un-hyperbolic for that matter) press release accompanying the album, it’s clear that Luke has striven not just to write a collection of beats and strap them together as an album, but to come up with a coherent body of music that has some shared meaning. That vision really shines through, and fans of the producer’s previous work will definitely find plenty to enjoy here. Content is packed full of deceptively simple but ultimately really evocative pieces of music, and some surprising choices compared to the stock “deep roller” sound that LSB has made his name on. From the profound and moving downbeat hip-hop of Sense vox’d Pandora through the moody jazz influences of Circle and into the hypnotic progression of Sketches For My Sweetheart there’s a real sense of a producer pushing his own creative envelope, with rich and varied rewards. Even on the album’s more predictable outings there’s little to fault; The View gets a fantastic follow up as DRS and Tyler Daley return for the equally sublime Missing You, and tracks like The Optimist and Capture My Heart prove that LSB has in no way lost his touch for penning solid vibesy rollers. Sadly the album comes against the backdrop of Luke suffering from a degenerative eye disease which has already severely impaired his vision and threatens to eventually leave him completely blind. That experience has surely informed the melancholy beauty present on Content, from the understated eye-test influenced artwork to the tracks themselves, and possibly proves some of the old adages about suffering for one’s art; here’s hoping Luke’s talents aren’t robbed from the scene by further issues with his sight. 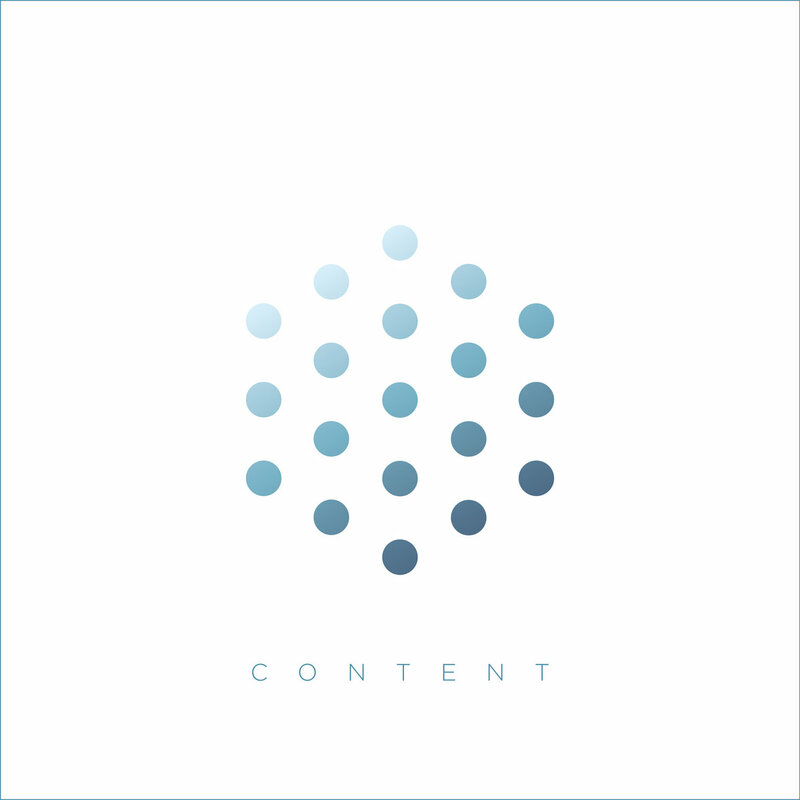 Content is out now on vinyl, CD and digital from the Soul:R store. Competition: Win Tickets to Spearhead Leeds! Spearhead Records hit Leeds later this month with label boss BCee joined by labelmates Hybrid Minds and Villem & McLeod, and we’ve got two tickets to give away to one lucky winner! To be in with a chance of winning all you have to do is like the DNB Dojo Facebook page and send an email to competitions@dnbdojo.co.uk with your name and the subject line “Spearhead Records Competition”. We’ll draw the winner on Thursday Nov 24th – good luck! 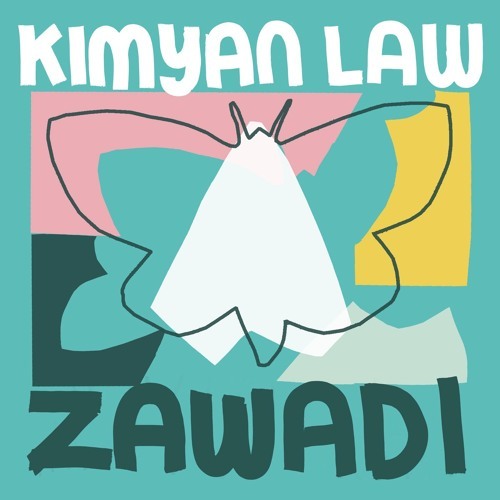 Reviewers often fall back on old adages about “that difficult second album” when reviewing an artist’s sophomore full length, but such adages definitely aren’t needed when discussing Zawadi, Kimyan Law’s follow up to his exceptional 2014 debut Coeur Calme. The 21 year old producer’s work continues to show a confidence, style and eccentricity well beyond his years, and the album is an absolute joy from start to finish. As with his first LP (and indeed the other scattered tracks that have surfaced in between) Zawadi is wide ranging in it’s influences and sonic textures, an aural melting pot taking in African music, jazz, pop, garage, jungle and who knows what else. Lush natural instrumentation combines with club influences, like on the unusual, amen-tinged glitchyness of Yore Dub or Motsa collaboration Citadelle, which sounds like something Burial might come up with if he’d found a xylophone and could be bothered to work on his mixdowns. Elsewhere Luba sees Kimyan reconnecting with his tribal roots for a beautifully simple composition consisting almost entirely of natural percussion and chanted vocals, while album closer White Moth Anthem takes a leaf from the LA bass book to explore a lurching, low slung hip-hop jam with tons of swing and a haunting set of synth textures. There’s plenty of space elsewhere for more conventional D&B outings, whether on soft, liquid-y Phentix collab Mondegreen, stripped back roller Lavender or the deep halftime groove of September. Even on the more fast paced cuts all of Kimyan’s material retains a softness; sharp edged hyper-clean production this is not. The use of organic instrumentation gives everything not just a unique character but a general effortlessness, and the use of space and reverb give the album a profoundly cinematic quality. More than anything this album is an emotional, evocative collection of material that bears all the hallmarks of a young musician pouring his being into his music. Genuine, engrossing, enthralling and colourful throughout, this might just be the best album you hear this year. Check out the clips below and hit up the BMT Store to grab it on vinyl, CD or digital right now. We’ve got another wicked exclusive today from Abstract Elements who drop the fantastically glitchy Ukzur on Neodigital later this month for their Eurofunk Vol. 2 EP. Bringing together the precision and edge of modern neurofunk with the wonky, microfunk influenced sound the duo have been making a name for, this one is stripped back, robotic and punchy as hell! Look for it dropping 18th November (and hit up the Neosignal Store for pre-orders). Ukrainian producer NickBee has had a busy year, with releases for Invisible, Ignescent, Mindtech, Concussion and many more, and now he brings his latest work to Jade’s Eatbrain imprint on The Gears EP. For the EP we’re treated to two instrumental cuts and two more featuring vocalist Joanna Syze. While The Gears and Together With Future are perfectly accomplished hard-edged dancefloor rollers, the two tracks with Syze undoubtedly steal the limelight. Nowhere To Run builds tension with sparse drums and Syze’s distinctive vox before moving into a rollout featuring unusual melodic touches and more of those haunting vocals; definitely a bit different than your average neuro roller, but more than capable of moving feet in the dance nonetheless. Second vocal cut We Fight closes the EP in style, with a euphoric build-up and more of those lush vocals giving way to a trademark stripped back NickBee banger. 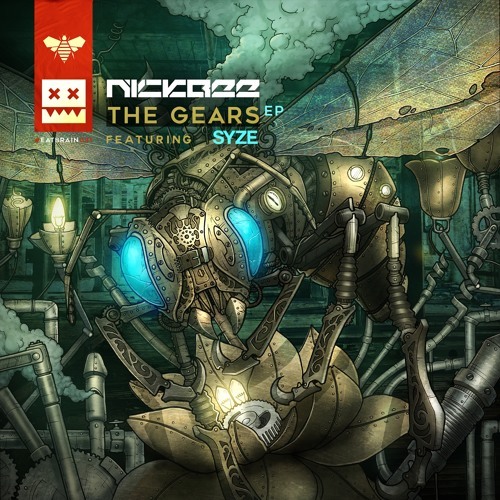 It’s great to see artists pushing the more musical side of D&B while keeping their eyes firmly on the club, and NickBee has always trodden that line well; here’s hoping for more Syze collabs! Check out the clips below and hit up your favourite digital store to grab a copy now.